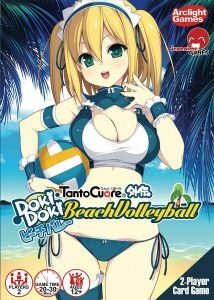 Tanto Cuore: Doki Doki Beach Volleyball is a quick fifteen-minute two-player spinoff game to the Tanto Cuore series. 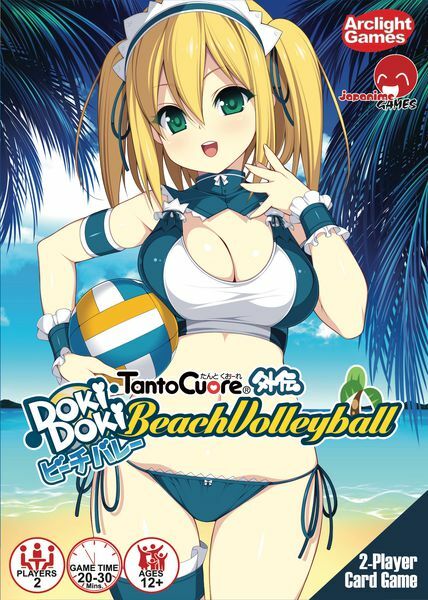 Featuring new art from Tanto Cuore artists, Doki Doki Beach Volleyball takes a few maids from Romantic Vacation on another adventure! Laura, Adorianna, Fea and Valencia have taken a day off and hit the beach to play a quick and easy combat beach volleyball game. Two players battle their teams against one another to become queens of the net! Each player is dealt character cards, action cards, and attack/spike cards. Taking turns, the players play special actions and make attacks against the opposing team trying to score points. Whoever wins the most of three rounds! An anime take on the 'Dominion' deck building style game. Tanto Cuore: Winter Romance is a standalone expansion to Tanto Cuore, a Japanese deck-building card game in which whoever has the most victory points at the end of the game wins.